This system was visited for the first time on EDSM by Zer0axis. 801 ships passed through Hypoe Bluae VP-O e6-8688 space, including 21 ships in the last 7 days. 0 ship passed through Hypoe Bluae VP-O e6-8688 space in the last 24 hours. Planets A 1 and A 2 of this star system are twin gas giants in a binary orbit with an orbital period of just 0.5D. 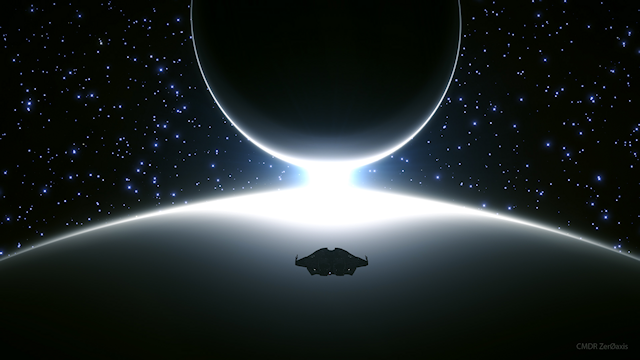 They orbit one another so closely, that CMDR's who visit them will be treated to an amazing view of them both. 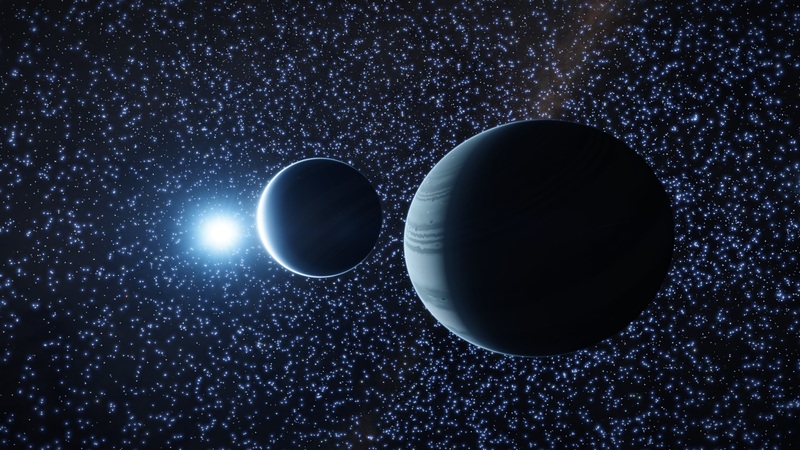 Additionally for CMDR's who are prepared to wait and position themselves behind the more distant gas giant, they will be treated to a double sunrise when the main star shines through between them both. 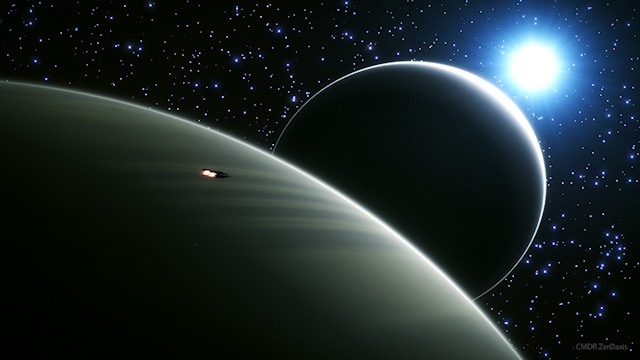 A must see for any traveler yearning for stellar sights while passing through this region of space.